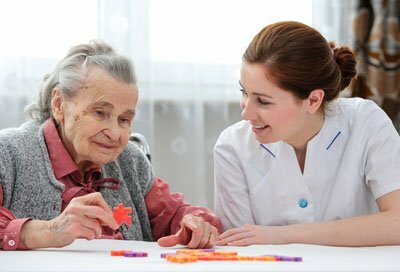 Dementia is a loss of cognitive function associated with a number of neurological conditions such as Alzheimer's disease, Lewy Body Dementia, Huntington's Disease and Traumatic Brain Injury. People with dementia may have problems with short-term memory, keeping track of everyday items such as their keys or wallet, paying bills, grocery shopping or cleaning the house. While it is not a normal part of aging, it mainly affects older people. 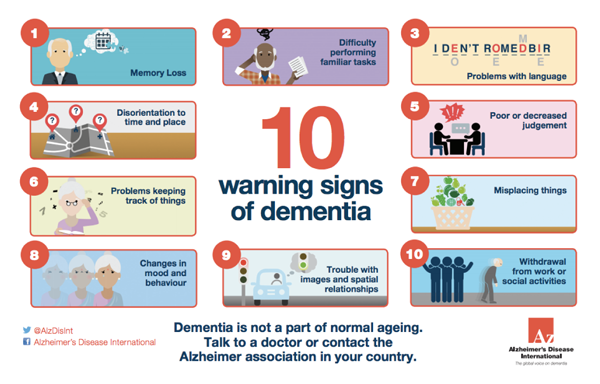 There are an estimated 50 million people living with dementia worldwide. There are many causes and some are reversible and some are progressive. The earlier it is diagnosed, the more it can improve your quality of life. Some conditions can be very progressive. This means you might not notice symptoms right away because they start out slowly and gradually get worse. It may be hard to notice the difference between old age memory loss, and dementia. Dementia is not a disease. It is a term that describes symptoms associated with declining memory. It is also a term used when a person's thinking skills are severe enough to reduce the ability to perform everyday activities. Being diagnosed with dementia is often a frightening experience. • It affects more than just the elderly. • It is known to affect women more than men. • It can affect young people as well as the elderly. • It is not just about losing memory, it can affect people in many ways such as confusion and difficulty in communicating. • There is no known cure for dementia. Currently, there is no known cure for dementia. Treatment does depend on age, as there are therapies and medications that can slow the progression and improve symptoms. If you or a loved one is suffering from dementia contact a Neurologist at First Choice Neurology today. The diagnosis not only affects the patient, but also their family, loved ones, and caregivers.